These clients had a very interesting brief. They were graphic designers working from home from their garden studio located at the end of their miniature garden. The studio was already there when they called me to create a garden in between their house and the studio. They love mid-century design but also love nature and walking. They are also big fans of Japan and regularly go there on long walking holidays. They are very much young Londoners who breathe design and love industrial material such as steel and concrete. I didn't want to create a mock Japanese garden but used some Japanese garden principles. For example, Japanese gardens use moss, water and slippery stones to force people to slow down and take everything in, contemplate and pay attention. I created two paths despite the garden being tiny. One follows the desire line and goes straight from the house to studio door, the other one is very narrow with lush planting spilling over the path and edges, and winds through the planting. 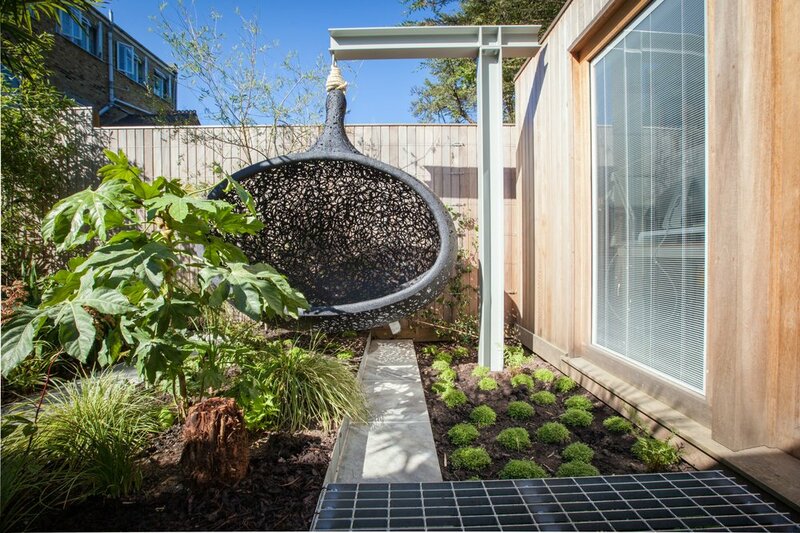 It offers a 'scenic route' with planting details and textures that invite people to stop and admire while giving the impression that the garden is bigger as it takes longer to walk through. 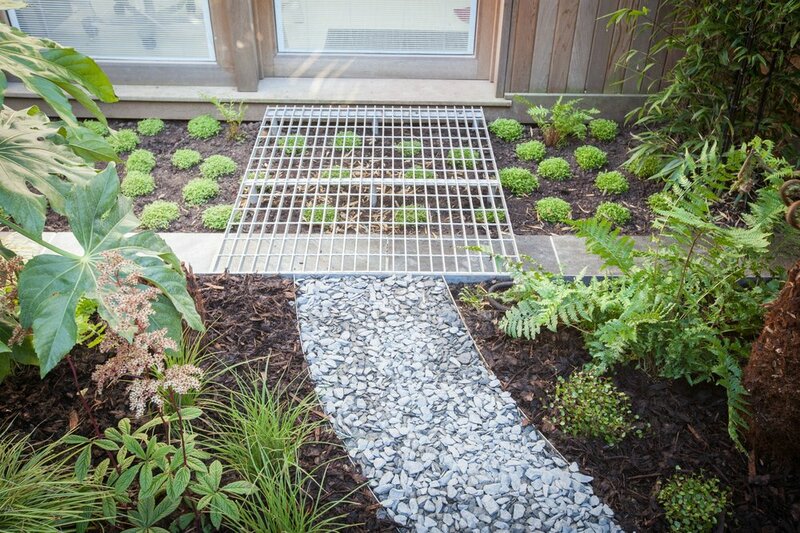 A metal meche small platform installed over the planting acts as a bridge between the planting and the studio.